Customize your fairing w/style and functionality! 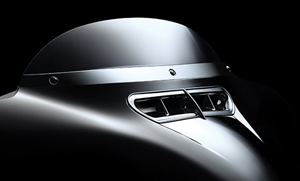 FV-53: Turn heads and add a new depth of style to your front fairing. This L.E.D. 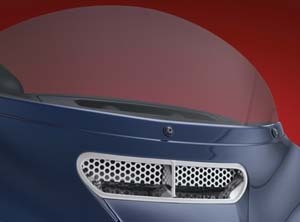 Fairing Vent Accent adds a soft glow, increasing visibility while enhancing the look of the Rushmore batwing fairing. 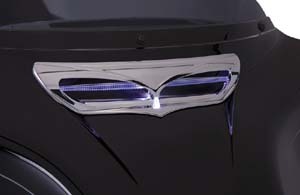 Installation is painless thanks to plug-&-play wiring that will get you back on the road in no time. Chrome. 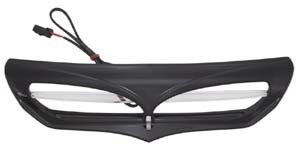 Fits 14" to current Electra Glides, Street Glides and Tri Glides. FV-56: Similar to above but in gloss black. 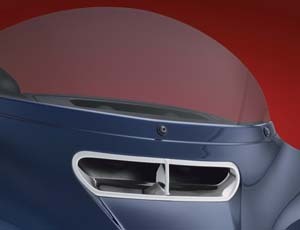 FV-CCL: The most appealing and innovative fairing vent trim on the market today, with horizontal inner highlight. 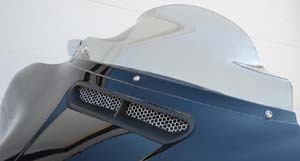 The vent trim will not affect the flow of the fairing vent. Chrome plated ABS. Available in lit version. Installs utilizing 3M automotive grade adhesive. Plug and play light module plugs directly into the stock wiring harness with no cutting, drilling, or splicing. Patent Pending. FV-CC: Similar to above but without lighting in chrome. FV-CBL: Similar to above in black with lighting. 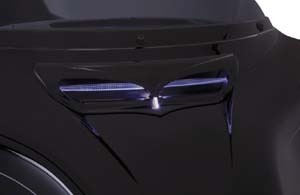 FV-CV: Similar to above without lighting in black. 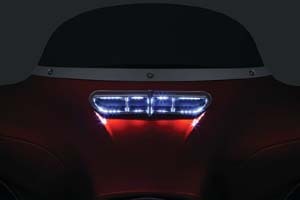 FV-T: A clean and simple solution to update the look of the boring black vent on the new Electra Glide, Street Glide & Trike fairing. Fit '14 to current Electra Glides and Tri-Glides. FV-TB: Similar to above but in gloss black. 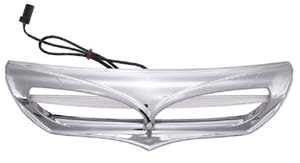 FV-TP: Premium Chrome plated fairing air duct bezel for Touring models that has more open air-flow opening. Attaches with tear-off tape for easy installation. Fits '14 to current Electa Glides and Tri-Gldies. 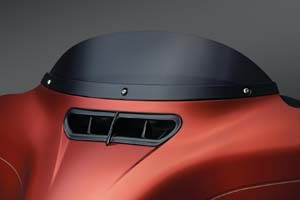 Improves the look of the new vented Harley batwing fairing. 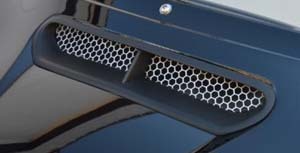 Brilliant chrome Fairing Vent Trim easily replaces the OEM black rubberized vent trim for a custom appearance. Combine it with a screen to keep road bugs and grime out of your cockpit. 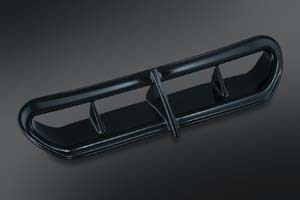 FV-11: Replaces stock intake vent bezel for a fully integrated appearance with full functionality. Aluminum outer frame secures stainless steel mesh insert via exposed socket head cap screws for a tough, industrial look. Disassembles easily to custom-paint individual components. 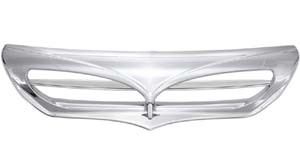 Fits '14-'17 Electra Glides, Street Glides & Tri Glides, Chrome. FV-12: Similar to above but in satin black. FV-TSK: Kit includes the FV-TP and KB-VS in one discounted package. 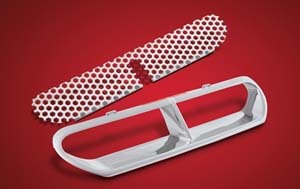 KB-VS: Show chromed stainless steel honeycomb screen. 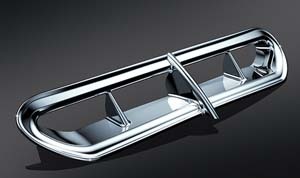 Can be mounted with the existing OEM vent trim or combined with new chrome Fairing Vent Trim. 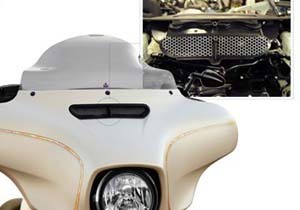 Designed for the 2014 and newer batwing fairing vent as used on the FLHX and FLHT models. Sold separately or together as a package. 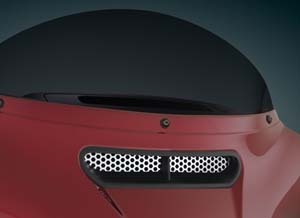 KW-VS: Accent the vent in the new 2014+ HD vented "batwing" FL style fairing with the KW-V Fairing Vent Screen! 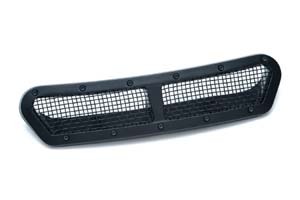 Available in Honeycomb or Round pattern mesh aluminum. 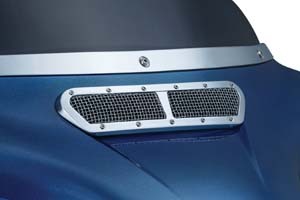 Fairing Vent Screen is easy to install, and adds a custom touch to the front of your fairing. 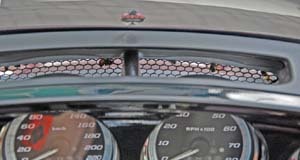 Vent Screen may even catch or stop larger bugs and other road debris from entering through your fairing vent! Comes with industrial strength adhesive to hold vent in place. Easy installation! Made in the USA!